Get Involved & Help Out! The Nature Park relies on the local community for its development and success. There are so many ways you can become involved, whether or not you are a resident of Little Chalfont. If you can't devote time and expertise, we still need funds to complete the outstanding work. There is lots of practical work which needs to be done to keep the Park in good condition, such as grass cutting and clearing dead wood. We also need people to keep an eye on the wildlife, wild flowers and trees, recording and photographing new arrivals and departures. And of course, the Park needs ambassadors to raise awareness and interest in the local community and act as guides and activity leaders. So, if you have a penchant for any of these activities, then please get in touch; the Nature Park really needs you. All our contact details can be found on Contact Us Page. The Nature Park Management Group is looking for a new member to arrange visits by schools as well as one or two cultural and educational events in 2017. These are part of the plans to widen the appeal of our special park. The role would not be time consuming but if you share our objectives and could spare a few hours each month to help the present team, please contact Roger Funk on 01494 762260 or email him at communitypark@btinternet.com. 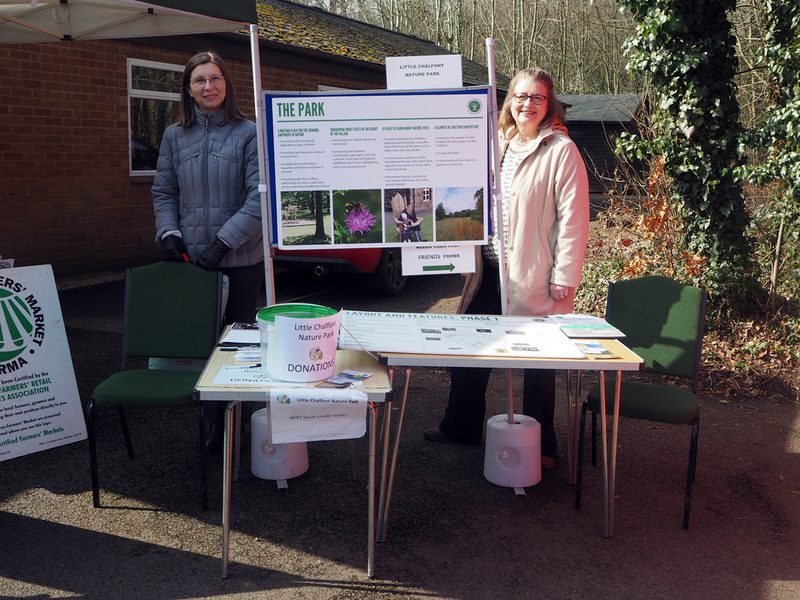 All volunteer effort is channelled through the Friends of Little Chalfont Nature Par​​k. The Friends do all the practical work in the Park, arranging tours, monitoring wildlife etc. For more information go to the Friends page. You can also join The Friends on-line - it's all free! Little Chalfont Charitable Trust needs to raise more capital to cover the cost of those features we didn't have the funds for before opening the Park to the public. The most important of these is laying a hard path for wheelchairs and motability scooters. We are extremely grateful to everyone who has contributed time and/or money to help us make the Park a reality. This includes all of our residents who have donated to the project, without whom this special place could never have been created. ​Just click on the icon to find out who they are.